For a country known for its beautiful mountains, the Gangetic flat land of the Terai that stretches throughout the southern part of Nepal provides an entirely different experience. A visit to Nepal remains incomplete without seeing the beauty of the Terai and Chitwan is the best place to visit. 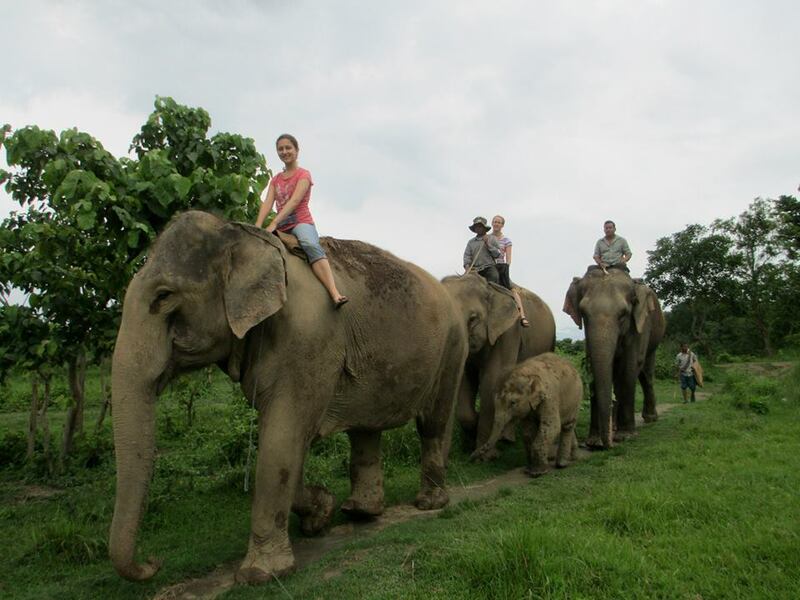 In this tour we would like to introduce the most beautiful places in Chitwan. Chitwan National Park is one of Asia’s richest and most spectacular wildlife sanctuaries and this park is one of the best “Wildlife Safari destinations of the World”. This is the first national park in Nepal. It covers an area of 932 km² and is located in the subtropical inner Terai lowlands of south-central Nepal in the Chitwan District. 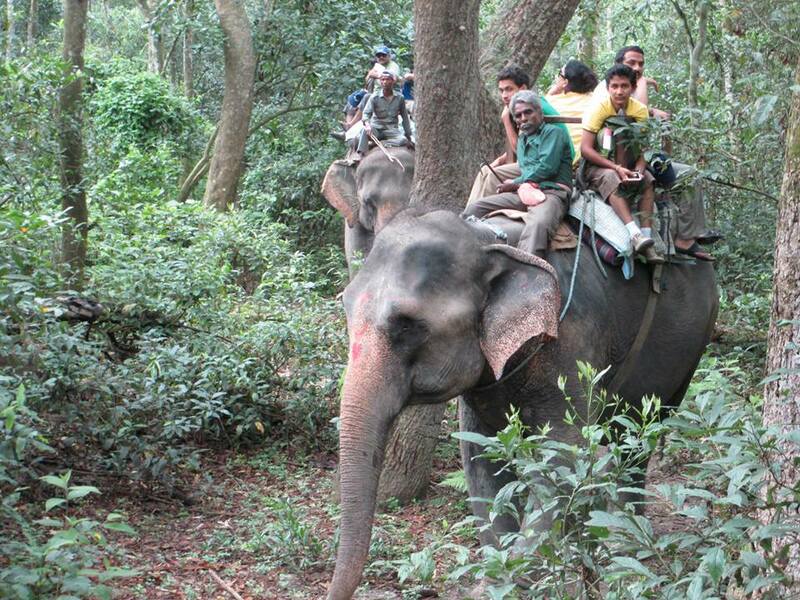 This tour covers the most interesting places and activities in Chitwan. From dawn to dusk you will do exciting activities like a wildlife safari on elephant back or Canoe Ride along the Rapti River. Departure date and itinerary arrangements can be tailored to your requirement, Tour cost will be Up down as per your service requirement, so please contact us for your queries regarding your visit in nepal, Tour cost, itinerary, Service requirement and other any queries regarding your holiday in Nepal, Tibet, India and Bhutan. In the morning you will drive to Chitwan by tourist bus. The ride will take about 6 hours. When you arrive at the hotel, you have time to freshen up and eat lunch. 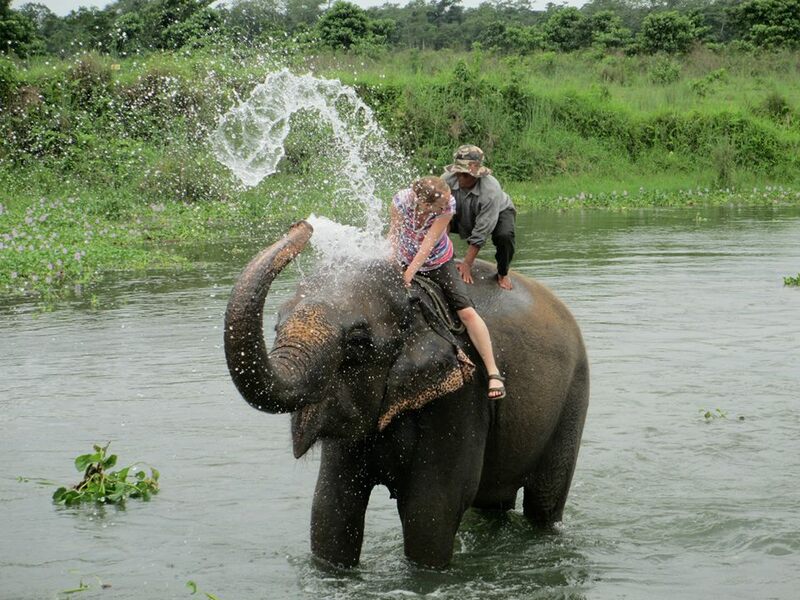 Then you can go to the river and have a bath with the elephants. After that you visit the Tharu village and the National Park Visitor’s centre where you will learn more about the lifestyle of the Tharus, the history of the National Park and about wildlife. In the evening you can go to the river side and enjoy the beautiful sunset there. Later in the evening you will visit the Tharu Culture dance programme, performed by the local villagers. You will also get the chance to take part in it. You will spend the whole day in Chitwan. In the morning you will have an elephant safari. Sitting on the top of the elephant you get the chance to see four different kinds of deer, rhinoceros, bore, monkey, leopard, sloth bear and if you are really lucky you can espy the Royal Bengal Tiger. 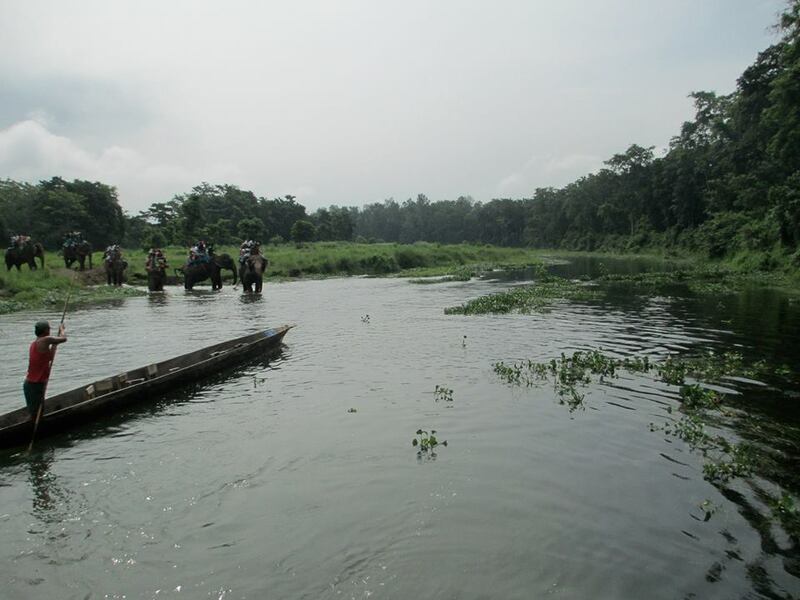 After lunch you will have a canoe ride along the Rapti River. An excellent opportunity for Bird Watching and for seeing the 2 rare species of crocodiles; the Marsh Mugger and the fish eating Gharial very close to you. After that you will have a short jungle walk which leads you to the Elephant Breeding Center. If you want, you can go to the river side later in the evening and enjoy the sunset there. After breakfast you will be transferred to the tourist bus stop and drive back to Kathmandu. •	2 nights Chitwan paradise Hotel with Bed and Breakfast,Lunch and Dinner basis . •	Room Twin sharing basis.